What if This was as Good as You Would Ever Get? Sifu Brown had good reason to ask this question of his students, as in his case this was not hypothetical, this was a real question that he had to consider his answer to, not once but several times in the course of his Martial Arts training. Sifu Brown was born with Cerebral Palsy and Dyslexia, and at different times in his training, it truly seemed as though he might have come to the end of his progress, that his physical high point had been reached and he could go no further. At this time, he considered very carefully what he should do about his training, and fortunately for everyone, he came to the conclusion that he loved the practice of the Martial Arts, and that even when he was convinced that he would not improve any further, he would still practice at the level that he could, and would still be a Martial Artist. To put that another way, perhaps it is better phrased that he could not stop being a Martial Artist. For me, I found my answer to this question a couple of different times, the first one when I was a Yellow Belt student. At the time, Gradings were held at my school every 3 months, so if you missed a grading, you had some time to wait before you would have the next chance to progress. At that time in the school, there were no Tips on Belts, and students were personally invited by the Instructor to attend a Belt Exam when the Instructor thought the student was ready. As a Yellow Belt, I trained with 4 other students who had all started around the same time as me, and we were all on Yellow Belt together. A Grading was coming up, and it was getting closer and none of us had been invited to the Exam yet. We had all been training hard and consistently, so we were hoping to get invited to the Exam. Finally, one of us, not me, came up with a plan to ask our Instructor whether or not we would be ready to do the Exam. Someone, the person who was picked to do the actual asking was me. This was a very nerve wracking experience. To ask for something you really wanted, but to ask for it in such a way that it was clear you meant no disrespect by the asking. I was nervous. After class I stayed back with a few other the other students, who were chatting as the class finished. I walked over to the Instructor, who was talking with another student. I looked back to my fellow Yellow Belts, who all made encouraging gestures towards me, but with equally nervous expressions on their faces. At last, I asked the question, ‘Do you think that we (gesturing to the other Yellow Belts who were all waiting in a group) will be ready to do the next Belt Exam?’ My Instructor looked at me, looked at the other Yellow Belts, and said ‘No, not this time’. So I thanked him and walked so quickly it was practically a run back to the other Yellow Belts to tell them we were not going to be Grading this time. As we were walking out of class, one of the Yellow Belts said, ‘ Well, if we are not testing this time, I am going to take a week off, and I’ll start training again after the Grading is over.’ Another of the Yellow Belts nodded, and I thought about the idea for a second, and it just didn’t make sense to me, because then you would miss out on your training. Why on earth would you stop just because of a Belt? So a very unexpected sequel to that story is that the very next class after this incident, our Instructor was watching us in the class, and at the end of the lesson came up to us and said, actually, you guys are more ready that I realised, you can Grade at this next Grading. We did Grade, and unfortunately, the other student who had taken the time off never did return to his training. To this day I have no idea whether that was a lesson that our Instructor took the chance to teach us, or if we simply put the idea in our Instructors’ head that perhaps we were ready. In any case, it was the first time that cemented in my mind that training in the Martial Arts is a core part of who I am, and that Belts and progress is a bonus, but not the main reason that I train in the Martial Arts. So, take thechance to consider your answer to the question, would you still train if you knew that you were not going to progress any further? Or perhaps consider this, what is your reason for training? If you have an answer to this, it can help you keep going through those times when it does feel as though you are not progressing, or bring recognised for your work, and accept that sometimes nothing but time will get us to the places we are going. In the time since Martial Arts first formed into organised groups of people practicing a disciplined study of formal Martial Arts, there have been times of high interest in the Martial Arts, and times of lower enthusiasm. It is interesting to trace these periods of ebb and flow of the Martial Arts, and to see the changes in society that they reflect. 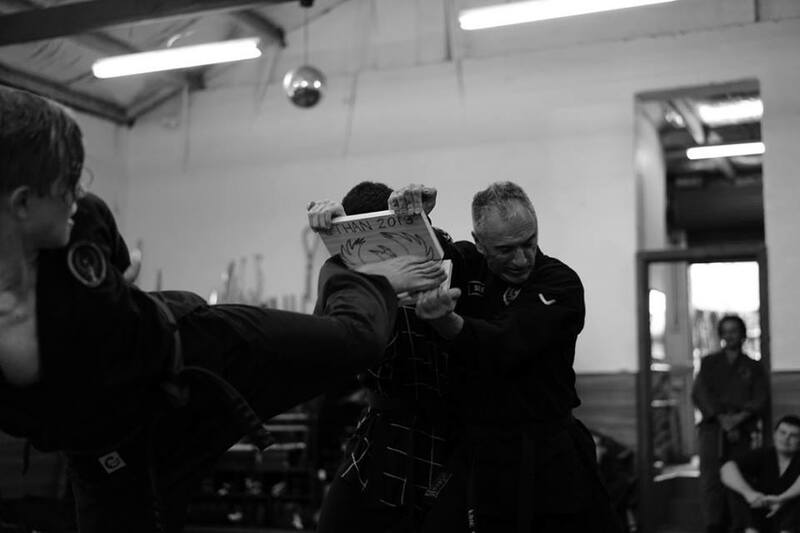 Viewing these changes on a large scale, in the Martial Arts as a whole, can also hold up a mirror to our own training, and the changing interest we sometimes experience in our own personal training regime. Martial Arts were introduced to Korea with the spread of Buddhism through Asia. While it is unclear exactly when this occurred, there are some very early cave paintings that suggest fighting systems developed in prehistoric times in Korea, which as a peninsula of land was often required to defend itself against invaders. After some time, martial arts in Korea appeared to organised itself into three main styles; Tribal Martial Arts which we re practiced in the remote, often mountainous areas. The style was known as Tae Kyon. Tournaments were arranged between neighbouring villages to keep skills sharp, and the practice of martial arts such as Tae Kyon made Korea an intimidating place to invade. At the other end of the social scale, there was also a style of martial art practiced by the royal family and their court. This was a ceremonial style, that filled a role almost like jousting did in the European courts of the middle ages, a martial sport practiced by those who would be leaders in time of war. There were element of archery, horseback archery, musical training as well as the striking and kicking applications of the Martial Arts. This system was known as the Hwarangdo. The other system of martial art was the Buddhist style of martial art, which was spread to Korea with the spread of Buddhism. Over time, these techniques blended with the local martial arts to give martial arts in Korea their own unique set of movements and principles distinct from the arts practiced in China and later in Japan. The period 37BC – 1392 was known in Korea as the Three Kingdoms period, with the three kingdoms of Koguro, Paikche and Silla occupying the space known now as Korea. There were struggles for supremacy, and this time, including the time when the Silla dynasty took power, was a golden age for martial arts. Martial Arts were practiced by people from all walks of life, and war and battles were a constant part of daily life, meaning that martial arts were a necessary skill for the defence of the land. Also assisting this time of popularity of martial arts was the fact that the common religion practiced at this time was Buddhism, which assisted the proliferation of martial arts by holding it up as not only a system of defence, but also of a way of conquering the body and it’s attachments to the comforts of the world. In 1392 the Cho Sun dynasty came to power. (Other names for this time include Lee or Yi) This was a time of great change socially in Korea. The kingdoms were unified after the war of unification, so internal fighting was not so common. With the Mongols being the main invaders, and their chosen weapons being the Bow and Arrow, there was less need for the population in general to practice hand to hand combat. Additionally, the predominant religion of this time changed to Confucianism. This religion honour scholarly endeavours, and the respect and worship of ancestors and traditions, and looks down on physical endeavours as somewhat uncouth. Thus, over time, martial arts fell out of popularity. It was still practiced in remote areas, and some local tournaments kept the arts alive, however by and large the popularity dwindled over time. Then in 1901 the Japanese invaded, and at this time any remaining martial arts, as well as many other aspects of Korean culture were forcibly repressed. Martial Arts was outlawed and it was forbidden to practice it or hold tournaments or displays of the martial arts. This lasted until 1945, with the end of the Japanese Occupation with the end of WW2. At this time there was a resurgence in interest in the martial arts. The Korean people vowed that they would never again be occupied as they were by the Japanese. If they were invaded, every man, woman and child would rise up and defend their country against occupation. This sentiment was very strong, and the government soon became involved, organising all the new schools that cropped up into a style called Taekwondo, with a unified syllabus and grading standards, and this style was taught in schools and in the military. While this unified approach was subject to tremendous political influence, with the leader of the Taekwondo organisation being a political appointment, not a technique or art based appointment, it did help spread the art very widely through the country. Then with the Korean War, a large number of servicemen and women were involved in military action in Korea that they did not feel a strong connection with, and found it hard to come to terms with the fighting carried out there. Searching for some meaning in the nightmare of war, they found some comfort in the newly reinstated martial arts systems being practiced in Korea. For some, they offered some dignity and meaning to their time in Korea, and they took the skills back with them to the United States as a way of dealing with the stress of the situation they found themselves in. At that time the government of Korea had a deliberate programme of sending Martial Arts masters to areas of the west to promote Korea and the martial arts to the west. This was the first wave of interest in the Martial Arts in western nations, and alongside the Brice Lee movies, the public was introduced to the study of Martial Arts. After a time, interest began to wane in the martial arts. Everyone knew what it was, however it had somehow become relegated to a children’s activity, something that was good for discipline and physical activity, but not necessarily something that the mainstream considered a serious activity. This changed when the movie ‘The Karate Kid’ brought the concept of martial arts back into the public’s mind. The movie showed martial arts as a path to self improvement, and a way of o overcoming obstacles by following a higher path. This has always been the idea of the martial arts, however this movie made the concept of martial arts recognisable as a serious pursuit. Over time trends come and go, and interest waxes and wanes in the martial arts. This trend can also be seen in our personal training – sometimes we are in a state of excitement about our training, and other times we feel demotivated. This is a natural part of our journey towards Black Belt and beyond, and our ability to cope with this cyclical interest is an important test of our determination to achieve a Black Belt. However, as we train there are many things that change, and that can help us through the times of lessening interest. It can be a seminar or special event in the school. It can be a new programme, such as Hyper Martial Arts, yoga or another tangent on our training. It is great when there are new things to keep us motivated and on track as we move through the highs and lows of martial arts training, however the core martial arts that we study is always there, waiting for us when the season changes and our interest turns. Our martial arts remains the same and is the core of our practice, regardless of changing fads and seasons. In an earlier post, I mentioned the Hwa Rang Do, a group of young men who were trained as warriors in medieval Korea, and whose principles guide our practice to this day. It is interesting to see the Tenets of the Hwa Rang Do as they were written 600 or so years ago, and reflect on how harsh they seem to us, reflecting as they do the ideas of a bygone era. However when we look at these principles another way, we see that they are just as valid today, and while the wording may seem old fashioned, the concepts they are based on are important for martial artists across all ages. This quote is an indication that as martial artists, we have a greater responsibility to those around us due to the skills we have acquired. This is an idea that has always been a part of the martial arts – that part of the deal with being a martial artist is having the responsibility to keep everyone safe, and not use the the skills we gain to harm others. There are five tenets of the Hwa Rang Do. 사군이충 / 事君以忠 – Loyalty to one’s king. The idea of loyalty to one’s king was of course very important to a warrior group whose role was to protect the country in times of war. The Hwa Rang Do were expected to have complete loyalty to their king and country, overriding personal desires. This brought them together as a group and helped them forge a sense of identity. We can interpret this to be respecting authority in our lives. While sometimes authority can have negative associations for many people, there are many ideas that authority embodies that it is important for us to uphold. Things such as controlling ourselves to act appropriately in different situations. Such as taking care of those less fortunate than ourselves. Such as making sure everyone has a voice and their ideas and contributions are listened to. By respecting authority, we can help to implement not only the basics of survival, we can set and uphold standards that lift everyone up to the highest of standards and give people around us room to grow and thrive, not merely survive. As martial artists, we can help uphold order in places we work, live and play. We can be the leaders in our group, whether that is a recognised leader such as an instructor, or simply the voice of reason in our circle of friends. By agreeing to a set of rules, and helping in the implementation of those rules, we cement ourselves as a group and start to create an environment where we can hold ourselves to high standards, and show others how they can lift themselves up too. 2. 사친이효 / 事親以孝 – Respect to one’s parents. Respect for parents is an important character trait. It implies a sense of gratitude and appreciation. Respecting our parents is respecting the sacrifices they have made and the commitment they have made to raising us as best they know how. While we may not always agree with our parents, respecting and accepting who they are is a fundamental skill for martial artists. When we show respect to our parents, the heads of our family group, we are acknowledging that there is a wisdom that comes from experiences we have not had yet, and there is knowledge of the world that comes from having lived in it longer. Having respect for parents and elders is having respect for the past and honouring where we have come from. 3. 교우이신 / 交友以信 – Faithfulness to one’s friends. In a battlefield being faithful to one’s friends is a matter of life or death. Following through on what you arranged to do with your friends – keeping faith – could be the difference between success on the battlefield or failure. While we no longer go into a formal battlefield, sometimes and places; school and workplaces, can feel like battlefields. Having the courage to be true to our friends, stick up for them physically and verbally is a test of our character. Being faithful to our friends whether they are there with or not speaks highly of our character. 4. 임전무퇴 / 臨戰無退 – Courage in battle. Clearly a group of warriors are required to have courage in battle. For martial artists practicing now, we could interpret this to be about having courage in our training. In our classes, it can require courage to try the things our instructor asks us to do. This courage can be the physical courage to try something that we fear may hurt our bodies. It can also be mental courage, to try something even though we are afraid we may look foolish when we try. Another interpretation of this tenet for modern times can be the courage we need to fight our personal battles. The courage to stand up for what we think and feel, and to express ourselves calmly and collectedly without loosing our temper or demeaning other people. We also need the courage to make decisions and take actions based on what it is right to do, not what it is easy to do. 5. 살생유택 / 殺生有擇 – Make a righteous kill. This tenet was important on the battlefield. It meant that the warrior was meant to use their physical skills to kill swiftly in battle, and the mental skills to ensure that this step was taken only when it was determined that this was the appropriate thing to do. Killing on the battlefield was not meant to be in the heat of the moment, rather each action was deliberate and was the result of a decision, not simply a reflex. In our lives we are not called on to make these sorts of decisions about killing, fortunately. However we are called on to fight some battles in our lives with the people around us. As martial artist, we should choose these battles wisely. Arguing simply to be right may not always be worth it if we are upsetting the people around us. Insisting on things being done the ‘right way’ may shut the door to the possibility of there being other, even better ways of doing things. It is interesting to see the tenets, or philosophies practiced by our martial arts predecessors are still relevant to us today just as much as the physical skills they learnt are relevant to us today as well. As we prepare to move into our new martial arts school in the New Year, I am reminded of a talk given by my Tai Chi Instructor, Sifu Robert Brown, which he entitled, ‘Transforming a Temple, Creating an Art’. The story is told of a temple that was situated high in the mountains, and this temple was a site of pilgrimage. People would come on a pilgrimage to the temple from all over the place, and when they got there they found the temple well tended, fresh flowers and offerings everywhere, incense perfumed the air, and there was an air of quiet purpose with an undertone of great rest. There were over 100 monks who attended the temple, and it was a thriving place where people came to pray, and left feeling uplifted. The monastics were dedicated to their temple, and kept it swept clear of leaves, kept the incense sticks burning and the incense ash cleared away. It was a place of great beauty and great calm. Over time, however, there started to be fewer visitors. Just quietly, over time, not so much that anyone would really notice, but the flood of visitors slowed to a river, then to a stream and then it was barely a trickle. The monks moved on, went to serve at different temples and eventually, over time their numbers dwindled to less than 20. With the visitors coming so infrequently, the monks so few, the temple fell slowly into a state of not disrepair exactly, but certainly not the great example that it once was. The abbot of the monastery called the monks together for a meeting, and it was decided that he would pay a visit to another temple to see if there was any insight he might gain on how to bring the life back to the temple. The visiting abbot was disappointed, of course, but thanked the abbot and started out the long trip back to his home monastery. As he was walking away, barely started on his journey, the abbot came running up to him. ‘I don’t know if this helps at all, but during my meditation it did come to me that one of your monks has made it – has become an enlightened person.” This was interesting, but neither of the abbots could think how this would be useful in revitalising the temple. So they took leave of each other and each went back to their own monastery. Upon his return, the abbot called his monks together. They were eager to hear what the other abbot had to say. Everyone was disappointed to hear there was no instant answer, but they were all fascinated to hear that one of them had achieved enlightenment. They all looked at each other, asking the obvious question – who is it, which one of us has made it? No one knew. Over the next few days, the monks all went around with very thoughtful expressions. One of us has made it! They would think. Then slowly, they started to think about their daily actions. If someone in their presence was an enlightened being, perhaps they should focus a little more in their mediation practice, so as not to distract the enlightened one with weak and mundane thoughts. If someone in their temple was enlightened, perhaps they should work a little harder on their cleaning around the temple, to be sure that the enlightened one had a pleasant place to live and would stay with them, and inspire them. No one ever found out who it was that was enlightened amongst those monks, but over time, with the effort of the monks in their meditation, their concentration in their studies and their conscientiousness in their cleaning, the temple gradually once again started to attract more visitors, as those who did visit told others of the dedication, purity and peace of the monks. It is interesting to think of this in relation to our new school. In any class, who knows who amongst out student will be the one who will one day achieve mastery, who will achieve greatness in the martial arts. It could be any of us, it could even be most of us! If you knew that in your class, training right there with you was the future Tyler Weaver, Jet Li, Bruce Lee, Musashi Minnamoto, how would that affect the way you train? How would that make you treat the other students in the class when you are partnered with them? How would that make you treat the place where one of the greats had trained? If we can all adopt that attitude to our training, how much better would everyone who train with us become? When we build a new martial arts school, we will do everything we can to create the best possible training environment. How it evolves and it used comes down to the attitudes and intentions of the people who use the place. If we want to have the best training environment in the world, all we have to do is act as though we already have it, and that is exactly what it will become. 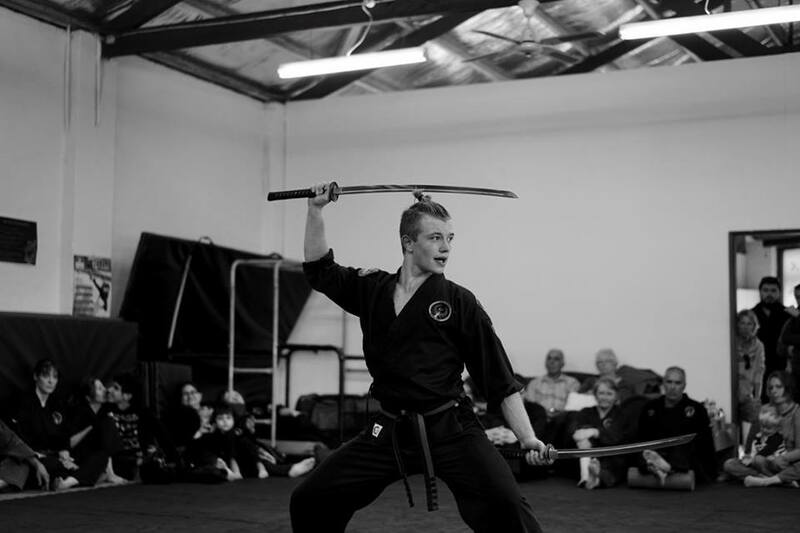 We held a Black Belt Exam in our school last month, where a talented young man achieved a goal he had been working on for four years. This was also the first Black Belt Exam in our school for a student who had trained exclusively at Fire Phoenix Martial Arts, so it was significant for the school as well as the student. 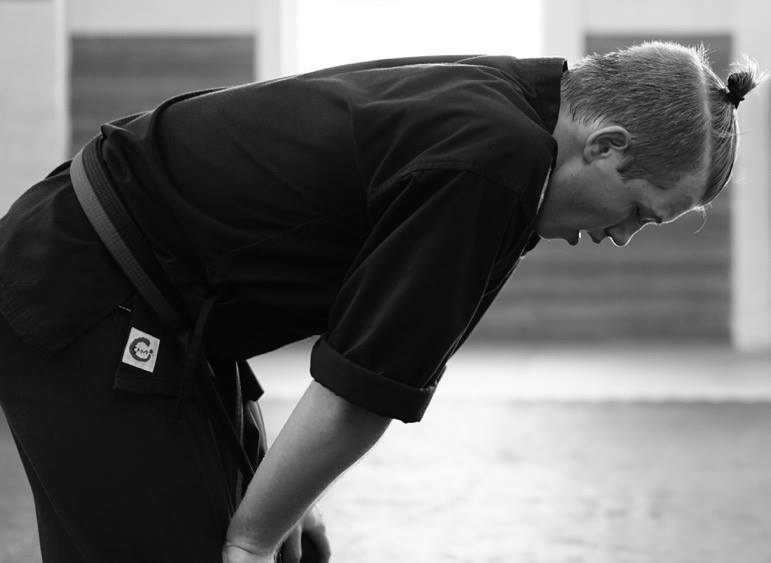 The process of getting a Black Belt is an intense, refining process. The Black Belt Exam is like a furnace, an intense heat that burns away the outer layers, the impurities and leaves a strong, solid core that is impervious to external factors. It is a process during which the Black Belt candidate internalises the principles of Hapkido and the martial arts and makes them a part of themselves. There is a story told of a farmer who was inspired to mine for diamonds, and this story makes me think of the search for a Black Belt as well. There was once a farmer who lived on a farm in a hilly area where he farmed sheep. It was a farm that made enough money for the farmer to support himself, but there was not a lot left over. He worked hard and he had everything he needed. 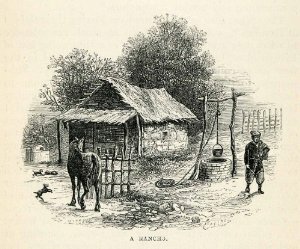 He was content with this until one day some strangers came to his village, and told of how they had found diamond mines. Diamond mines – imagine that! How much wealth there would be! How could the daily grind of sheep farming ever compare to that? So the farmer decided to sell up his farm and travel, searching for his diamond mine. He travelled far and wide, searching, follow new clues, listening to rumours of where the diamonds might be mined, dashing to mountainside caverns and beachside cave systems, always searching for the elusive diamond mine. At last, footsore, weary, with no money left and full of disillusionment, he returned back to his old village. There, he discovered, diamonds had been found! Asking for more details, he found that they had actually been found on his old farm! He was devastated, and also amazed. He went and spoke to the man who bought his farm from him, and found that there was a cave on the farm in the hills that turned out to be a diamond mine. The farmer knew of the cave, he used to use it to shelter with his sheep in storms. The thing he didn’t realise was that diamonds in their raw state do not resemble the sparking crystal stones we see on diamond rings and necklaces. The look like dull brown stones. It is the process of polishing them, refining them, cutting them that makes diamonds what they are. By destroying them in their raw form, the beauty and wonder that is within can shine through. This story always makes me think of the process of becoming a Black Belt. To become a Black Belt, we must be prepared to sacrifice what we are for what we might become. To become more than the dull brown stones, we need to put ourselves through a process that demands everything from us, that changes us into something much more than we ever were before. The story also illustrates that sometimes on the path to our Black Belt, we look for a quick fix, a magic solution that will get us to our goal faster. We look for other options that will take the place of the hard work that is required to get our Black Belt. The fact is, there is not one. There is simply day after day of hard physical work, hard mental work to keep slogging away at the things we need to work on. The path to Black Belt calls on us to make sacrifices. Some of the sacrifices we make are of our time – we spend a lot of time on our training, sometimes choosing to come to class when there are other fun things we could be doing. Sometimes we sacrifice comfort – we stretch a little deeper, we train a little harder, we collect bruises, bumps and knocks as we train. Sometimes we sacrifice our pride or ego, to submit to doing what our instructor asks us to do even if we don’t want to, or are scared to. It is making these sacrifices that builds us up mentally to be able to withstand a Black Belt Exam and come out of it on the other side stronger and more than we were before. After the Black Belt exam, you understand that you ARE a Black Belt, it is not simply something you earn and can be removed when you change clothes. It is something that is a part of who you are, because it is something that you have had to work incredibly hard to become. Sometimes when extended family members come to watch a Black Belt exam and they have not witnesses first hand the training, they are shocked at what a Black Belt exam demands of a student. They are scared for the Black Belt candidate because what they are being asked to do seems completely unreasonable. It is only unreasonable without the preparation of the sacrifices and hard work in the years of classes leading up to this one special event. This event is a once in a lifetime event that you always carry with you as a source of strength and motivation in daily life. Congratulations to Ethan on his Black Belt, to all our Black Belt students and to those who are coming in the future. At some point in our martial arts training, students realise that strong, linear movements are painful to work with, and require a large expenditure of energy. The use of force against force is a crude way to get a result, and is not a true expression of martial arts. Students training like this may develop bruises in class training, and over time may even cause long lasting damage to their bone structure. This linear way of training is also difficult to maintain long term, as our bodies grow tired and age. It is at this point that alternatives are sought out by the Martial Artist who wishes to continue practicing in a healthy body on a long term basis. This is where the student starts to see the value, and apply the principles of circular motion in their movements to avoid attacks and re-position themselves in a more effective position. It is where students start to be able to apply the more advanced and complicated motions that incorporate circles. 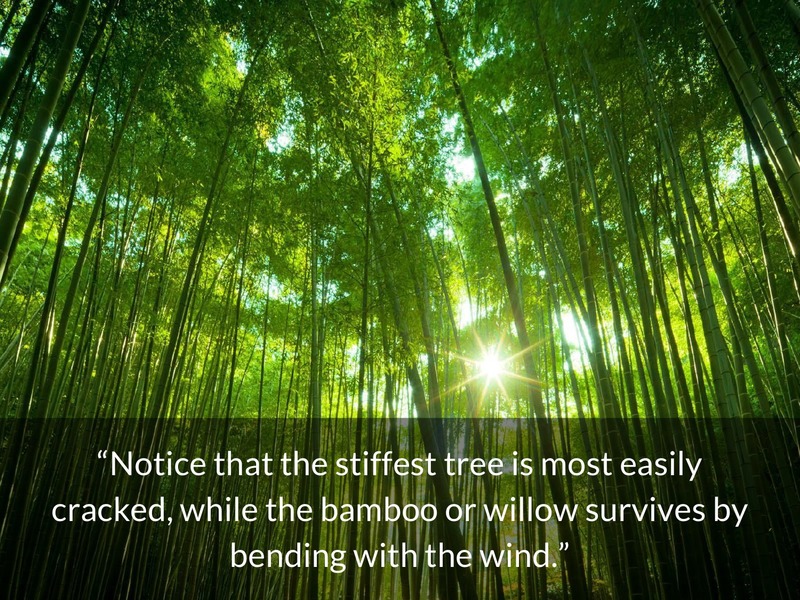 These movements allow the student the flexibility to respond to direct attacks by absorbing an attack and redirecting it, much as bamboo moves in the wind. It takes considerably more time to learn to move in a circular way, however after time spent in studying the Martial Arts, students begin to naturally see the advantages of moving in a smoother responsive way instead of a binary linear way. Understanding this way of moving also allows the students to respond differently to different situations. Students start to understand that the same response is not always appropriate, and that there are many ways of achieving the desired outcome. Moving smoothly and circularly is a challenging skill to master. It is not the same as learning how to perform an individual technique, no matter how complex, as it requires us to have the presence of mind to alter something as fundamental as the way we move. The way we do this is we practice the ability to observe ourselves in action. When we start our training, we have a bit of tunnel vision – we see hands and feet flying through the air towards us and we just concentrate on dealing with that – we see a target and we hit it, we see an attack and we block it, all the time trying to keep our heads above water. Next stage in our training is the ‘Doh!’ stage. This is a frustrating stage as we can see opportunities to do something different and good just microseconds after the opportunity has passed. This is a natural and healthy stage as it means we are starting to be able to look wider than the tunnel vision of the previous stage. After time in our training, we develop the ability to relax in our training, to wait for opportunities and respond to the them as soon as they arise and make a decision about what action to take. This ability is taking the moment between stimulus and response and stretching it out to make enough time to choose between a variety of options, instead of shrinking the moment to be so small that all we can do is lash out, or do what we have been conditioned to do without thinking about if it is the right action to take. We do this by looking outwards, away from the little details in front of us and at the bigger picture. We do it by trying to be in the moment and yet also distant from it, observing it. Most people will have, at some time or another been asked something and they instantly gave a response (usually in the negative) without thinking about, and later realised that was actually an opportunity that we passed up to change something for the better. When we go around on autopilot, or when we get caught up in busyness and respond without thought, we do not have the chance to move forward. When, however, we can be present in each moment, looking at each situation and making conscious decisions about it, then we are able to make good choices about the course of action we should take, and this shapes the person and the martial artist we become. The attitude we bring to our Martial Arts classes with us determines the sort of lesson we are going to have. When we come to class with smiles, ready to work hard and also to have fun, that is what will probably happen! That is why each Martial Arts class at Fire Phoenix starts with a short time of quiet sitting simply breathing and clearing our thoughts. This short space of time is a chance to let go of any worries we have, forget about our troubles at home or school and instead think about our Martial Arts training. We change our thoughts by controlling our breathing. If we breath in an angry way, fast and hard, we can become angry. 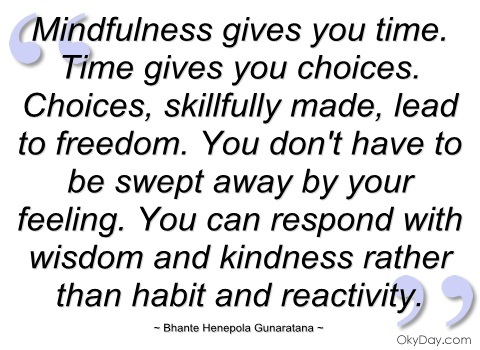 If we breathe in a slow and calm way, we can become calm and focussed, enabling us to make good choices. This is why slowing and controlling our breathing at the start of the martial arts class is so important. It allows us to let go of the challenges and frustrations that may have occurred during the day, and think about moving forward with a clean slate. This is a great technique, and will work at home and school when you need to get control of yourself, as well as in a Martial Arts class. There are some things we can control and some things we cannot control. Effective people accept the things they cannot control, and concentrate on the things they can control. Perhaps you cannot control whether you came to class today, perhaps you came because your parents brought you. We cannot control the actions of other people, however we can control how we react to people. We can choose to get involved in other people’s problems or drama, or we can choose to distance ourselves from the little things and concentrate on the important issues. We cannot control what is taught in class on any given day, however we can give our attention to whatever lesson is taught to us, and enjoy what is in that lesson. What you can control is the attitude you bring to the class. 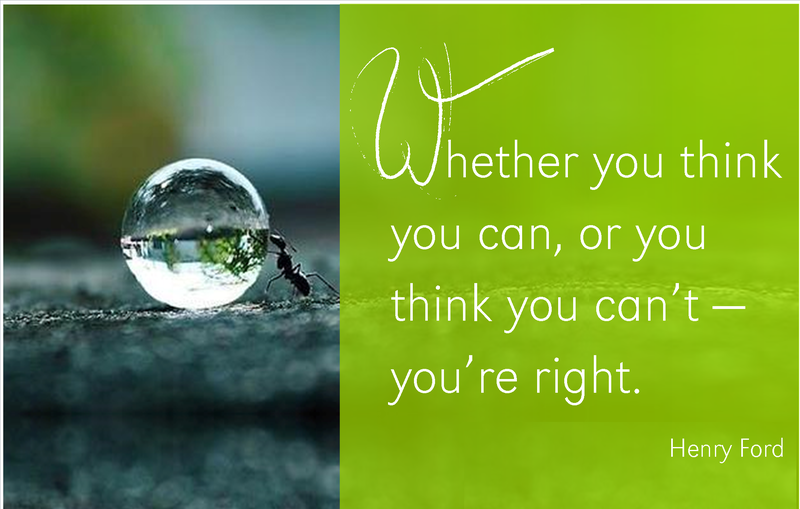 We always have the ability to control our attitude, and this determines our experiences in life. There was once an old man who owned a small farm high up on the hillside. He lived alone with his teenage son and their horses to help them with the farm chores. One day a wild stallion came to the farm, and caused all the horses to run away. “What bad luck!’ sympathised his neighbours. “Maybe good, maybe bad, who knows” replied the farmer. The next day the stallion returned , bringing with it the farmer’s horses and a whole herd of wild ponies with it. “What good luck!” exclaimed his neighbours. “Maybe good, maybe bad, who knows” replied the farmer. The following day the son tried to tame one of the new horses and fell off and broke his leg, and was unable to help his father on the farm. “What bad luck!’ sympathised his neighbours. “Maybe good, maybe bad, who knows” replied the farmer. Then an army recruiting officer came to the village, calling up to war all the young men who were fit to fight, sending them to uncertainty and preventing them from helping on their families farms. As the man’s son was injured, he was not selected to join the army. “What good luck!” exclaimed his neighbours. “Maybe good, maybe bad, who knows” replied the farmer. This story shows us that any situation simply is, the way we look at it determines whether it is good or bad. In our lives, when we are faced with a situation, we can feel a range of different emotions – maybe disappointed, maybe sad, or angry. This is natural, however if we can control ourselves and our emotions, we can choose to show a positive attitude and find the good in a situation. Sometimes it might be that our disappointment is another person’s opportunity. It might be that our anger can lead to us to take action to fix a problem. It all comes down to the attitude we bring. Fire Phoenix Facebook Profile Be Our Friends!